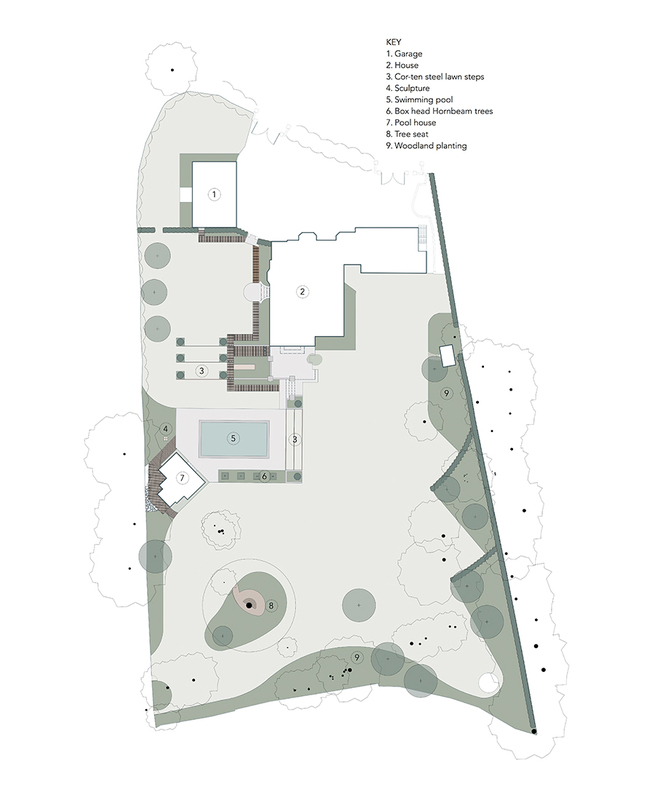 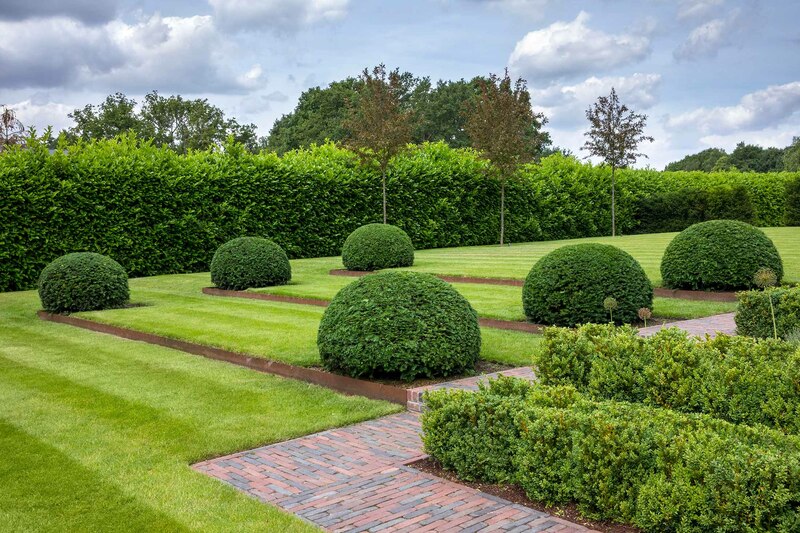 To its new garden with the use of Cor-Ten steel lawn steps and repeated clipped Yew domes. 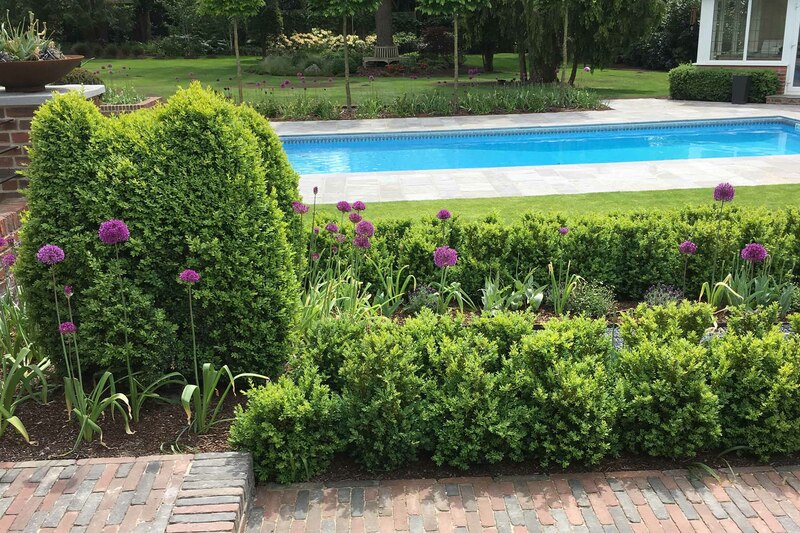 The pool surround is softened with summer planting of Hydrangea and Alliums. 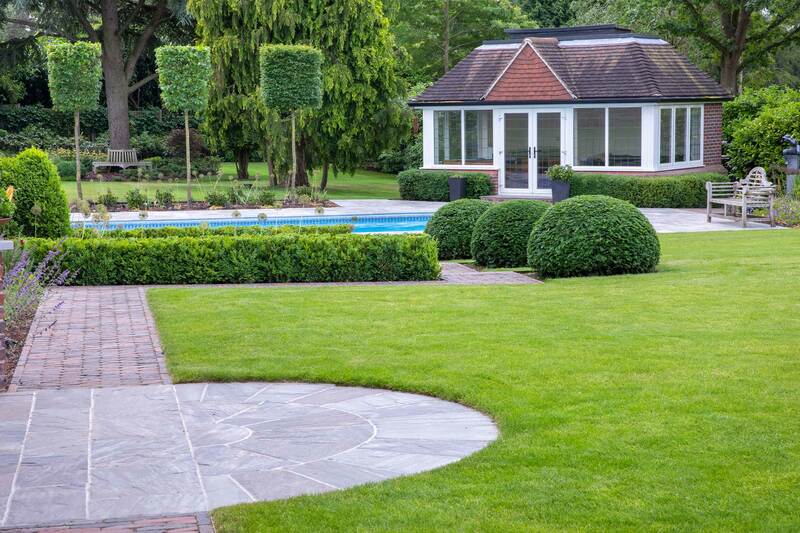 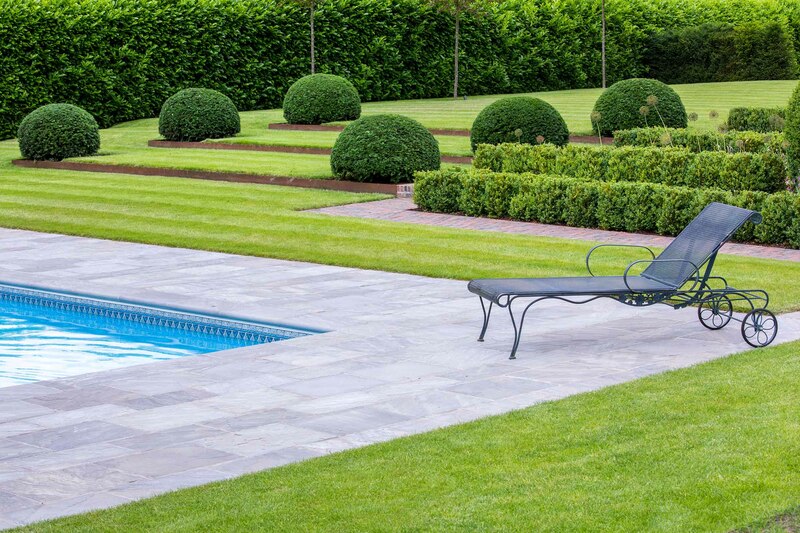 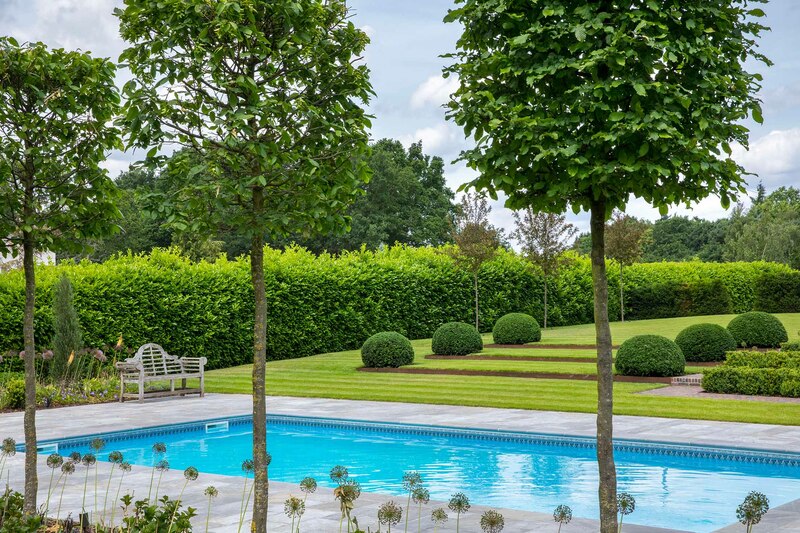 Clipped Hornbeam serve to create space definition within the garden without compromising garden views.